A little over a decade after founding Strange Music with Travis O’ Guin, independent mogul Tech N9ne has finally broken through to the next level. With a top 5 Billboard charting album, and nationwide tour that has seen nearly every show sell out, it is fair to say that Tech N9ne is becoming a household name. It seems like now would be the perfect opportunity for Tech N9ne to take advantage of this spotlight and make an attempt to bring Strangeland to the late night talk show circuit. For years, late night programs like Late Show With David Letterman and Conan have proven to be perfect platforms for new and veteran artists to promote their music directly to millions of viewers. The nightly scheduled programs manage to capture huge audiences of all ages, and in Conan‘s case, a large percentage of the young male demographic. 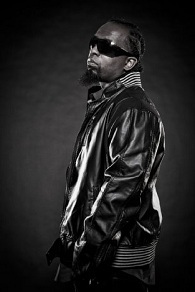 An appearance on a show like Conan would boost Tech N9ne’s reach, and in turn result in higher music sales. In the past, musical acts like Slipknot, Linkin Park, Travis Barker, and Jay-Z have enjoyed success stemming directly from their appearances on late night television. Taking all of this into account, the question now is: Should Tech N9ne appear on a late night talk show? Is the timing right? What do you think?